Deliciously Savvy received product in exchange for an honest and unbiased review and all opinions are 100% my own. Regardless, I only review products that I am truly interested in for myself and my family and of course for sharing those reviews with my savvy readers. This post contains affiliate links and I may make a small commission if the product is ordered via the links in this post. Thanks for stopping by and enjoy! 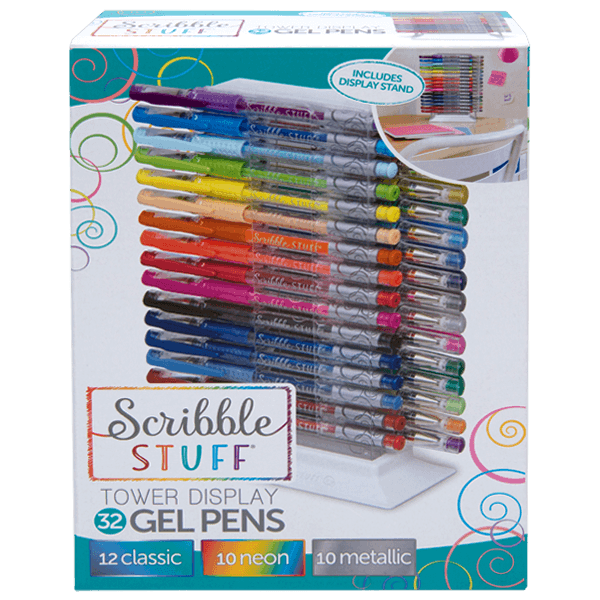 I am so excited to share Scribble Stuff and their entire line of amazing products for Back To School because they make staying organized and learning fun. For this reason, I have teamed up with Scribble Stuff, USA Gold & Board Dues to help my family and I create and utilize schedules and to-do lists that are organized in style and lots of fun to create and use. I have to admit…. when I was in school, I loved keeping neat and clean, organized binders and notebooks that were loaded with all of the information that I needed for that days studies. I actually loved keeping everything looking nice as well and I was always proud of my work and my studies. I would sometimes rewrite my notes to keep everything looking its best plus doing that actually helped me to retain the information I was rewriting. It just worked for me… so I have always shared that with my kids and encouraged them to do the same, if they chose too, by supplying them with all of the tools needed to stay organized and on schedule. For this very reason I am so excited to share all of these amazing products that are perfect for back to school as well as for just having some fun and creative time. I have always loved coloring and now with the cool adult coloring books… I can enjoy using these cool Gel and Felt pens to color until my heart is content. 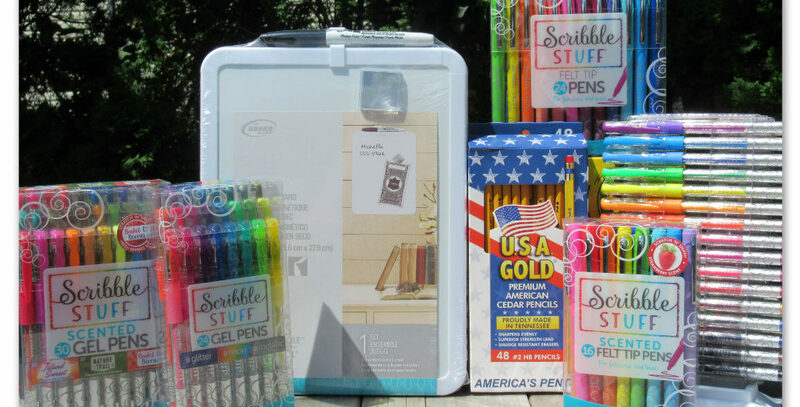 Check out all of the fabulous products that Scribble Stuff, USA Gold & Board Dudes has to offer for Back To School and that I am loving! 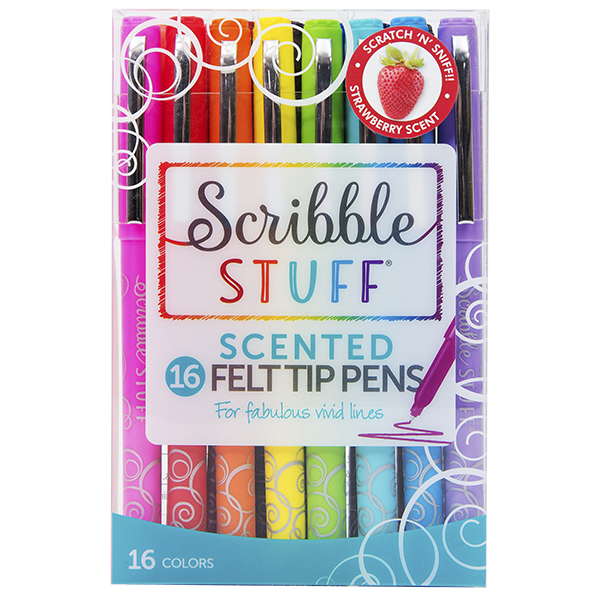 Scribble Stuff has a variety of creative writing alternatives for tweens/teens compared to classic pen brands and they make staying organized colorful and fun. Think coloring, drawing, sketching, taking notes, using in your journal, organizing your binders and school work, editing and grading schoolwork…. the list goes on and on. These are simply fun for anything and they are a great way to encourage your kiddos to have fun this upcoming school year, when it comes to staying organized and creative. Scribble Stuff 24 Ct. Felt Tip Pens features 24 gorgeous colors and shades that are perfect for any and all projects. You cant take notes and make bold statements with these felt tip pens and they are made with a sturdy plastic nib that measure .8mm. The set comes with a reusable box that can used for storage and keeping all of your pens organized and they are perfect for work, home and school. I love them and they are my absolute favorite as the colors are bold and the ink rolls on smooth. Scribble Stuff 16ct. Scented Felt Tip Pens are awesome. They come in 16 gorgeous colors and shades and each pen has its own unique scent! Watermelon, Peach, Orange,etc… You can take awesome notes and make bold statements with the gorgeous pens and just like the traditional style above, they are made with a sturdy plastic nib that measures .8mm. The box that they come in provides the perfect storage needed to keep your pens organized and ready for the next project and they are perfect for work, home and school. Scribble Stuff 24ct. Gel Pens in Metallic, Glitter & Neon are a top seller nationwide as Gel Pens have exploded in recent years. 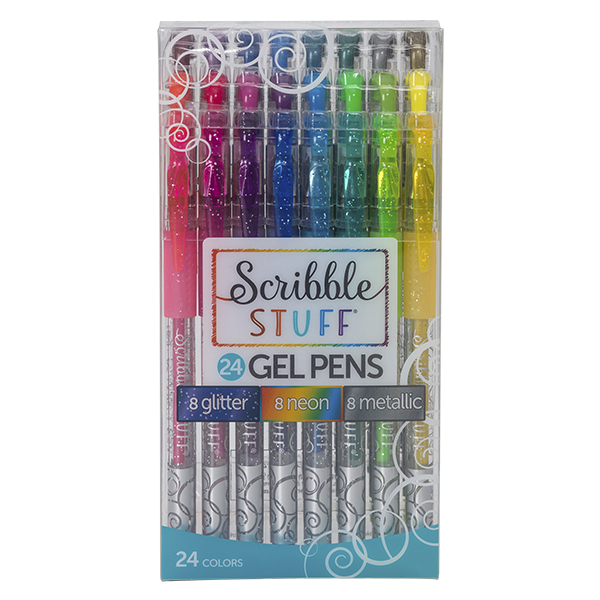 For me there is none better than Scribble Stuff as they provide the ultimate color collection: 8 glitter gel pens, 8 neon gel pens and 8 metallic gel pens. My daughter and I love the comfort grips and large clips that are perfect for easily attaching to notepads, shirts and more. As always, the box that it comes in is the perfect storage box for keeping your pens safe and organized. I love the bold colors and that the ink rolls smoothly too. These are perfect for work, home and school and my kids love them! Scribble Stuff 30ct. Scented Gel Pens Color Palette in Island Sunset, Nature Trail & Basket O’ Berries is a super fun set of gel pens that my whole family loves… especially the kids. 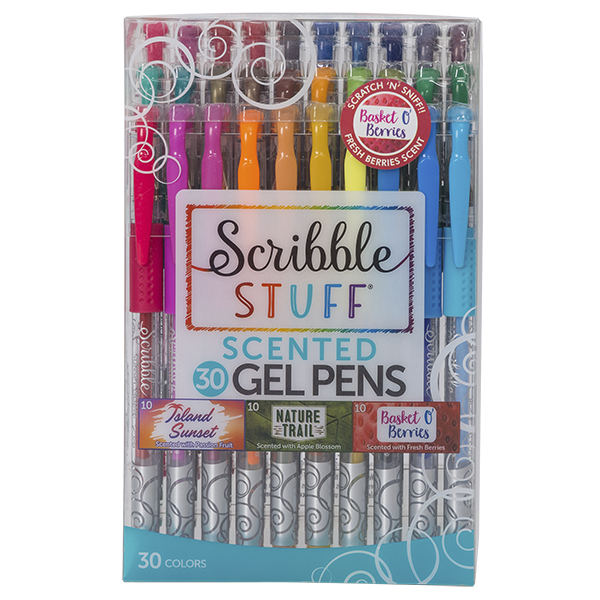 You get a 30ct pack of themed gel pens that are delicious smelling. Imagine an Island, Sunset, a Nature Trail and A Basket O’ Berries. You receive all three scent collections… 10 passion fruit scented, 10 apple blossom scented and 10 berry scented gel pens. These fabulous pens have comfort grips and large clips that make them easy to attach to your notebook, shirts, book bags and more. As always Scribble Stuff packages their pens in a fabulous box that works perfectly for keeping your pens stored safely between uses. These pens are the perfect companion for coloring, drawing and /or writing and they are perfect for using at home, work or school. The Scribble Stuff 32ct Gel Pen Tower is my daughters favorite. She has this tower on her desk and uses them for everything. She loves the tower and how handy it is at keeping the various colors organized and makes it super easy for her to grab whichever color she needs for any project. This tower comes with 32 smooth-writing fashion gel pens and you receive a brilliant color selection of 1 neon, 1 metallic and 12 classic colors. This tower acts as a desk display and makes it easy to remove, replace and store all of your gel pens. These are prefect for at home, work and taking to school. Also makes a great gift as it is packaged perfectly in a nice box. Pencils are a Back To School basic and the USA Gold pencil line is made right here in America! They are manufactured in a factory that has operated in Lewisburg, TN for 57 years. Families can support American jobs when they purchase USA Gold pencils for the Back To School season and they are teacher recommended. I love products made in the USA and I love USA Gold pencils. The Board Dudes provide an innovative range of branded products for the school and home. The company’s primary product categories include dry erase boards, cork boards, planner & calendar boards, and school and locker products that are perfect for keeping your child organized at school via their locker. The Board Dudes 81/2″ x 11″ Plastic Framed Dry Erase Board is the perfect board for your kids locker or at home in their room or even on the refrigerator. 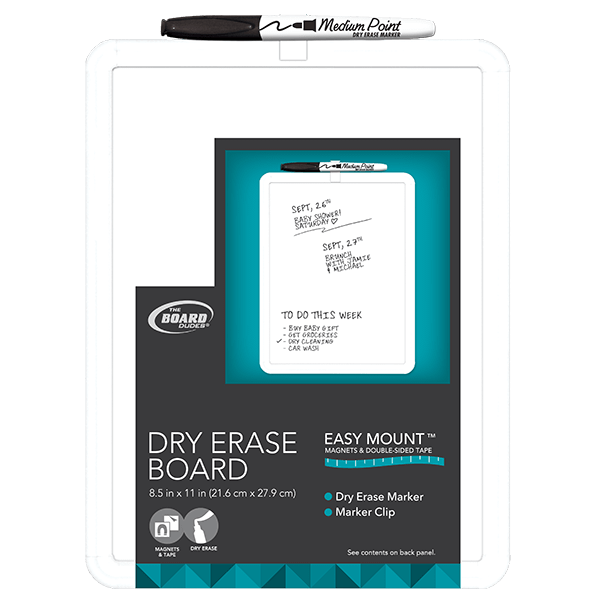 This dry erase board is an affordable price and comes with 1 black dry erase marker and a pen clip to keep your dry erase marker safe when stored. This is perfect for drawing and writing at home or for team use in an office and/or classroom setting. The mounting hardware is included and it is super easy to place wherever you may need it. You can use the magnets if placing in a locker or on a refrigerator and you can use the included double sided tape if installing on a wall or work surface. I love this thing and will be purchasing another for use on out refrigerator… and my kids will all have one for their lockers to remind them of important dates and more for school. 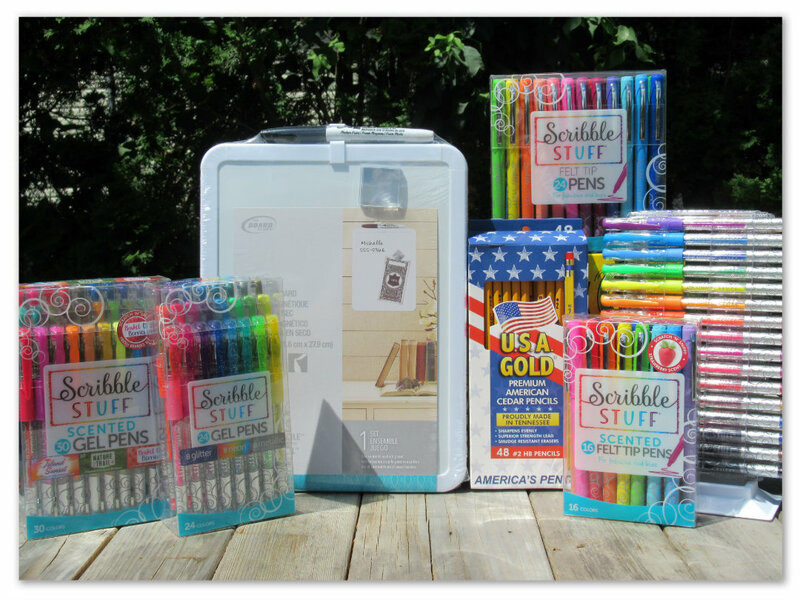 So What do you think of these Back To School must haves from Scribble Stuff, USA Gold and Board Dudes? They are just the beginning of the many Back To School items that we will need but these are some must haves that we will all be using to stay organized and colorful all year long. As Always, Thank You For Visiting Deliciously Savvy Today & Leave Some Comment Love While You Are Here. I Always Love Hearing From You! Wow!! They have a lot of products & they all look great. I think I personally would love to get some of the scented gel pens. Thanks for the review. I think it is a wonderful assortment and would make any kid excited about going back to school. I know my children sure would be. I always recopied my notes while in college and when I training as an EMT. Wish I would have had all these color choices to separate my notes into categories especially when they overlapped. Great quality pens! 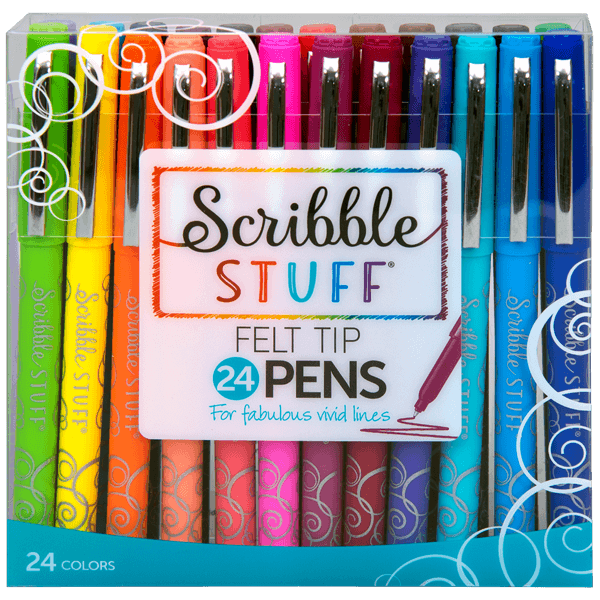 I love all the different varieties they have but I think my favorite ones are the Scribble Stuff 24ct. Gel Pens in Metallic, Glitter & Neon. Thx for the review! I Love glitter pens and am always looking for new ones to try! I’m definitely bookmarking this for BTS supplies for my kiddos! It looks awesome! This sounds like a great line of products for teens to use. Thanks for the review. Gotta have that gel pen tower!! These look like so much fun! But forget the kids and BTS – I’d use them for my adult coloring! They have such a great assortment of pens. I used to go crazy for the scented pens as a kid. I’m a real office supply geek. So is my daughter. We’d love all those colored pens. My daughter could use the dry erase board in her dorm room.